Japan heading for World Cup disaster? Qatar cruise to the AFC Asian Cup final for the first time with a comfortable 4-0 win over the United Arab Emirates. The last time Borussia Dortmund won the Bundesliga back in 2012, Shinji Kagawa was a crucial part of the team. Fast-forward to now, as the German side sit pretty on top of the table heading into February, the 29-year-old is a bit player at best. Still, that is more than he manages with his homeland. The newly-expanded 2019 Asian Cup that kicks off on Saturday in Abu Dhabi with hosts United Arab Emirates (UAE) against Bahrain may feature some new teams but those contesting the final on Feb. 1 in the same city are likely to be more than familiar. 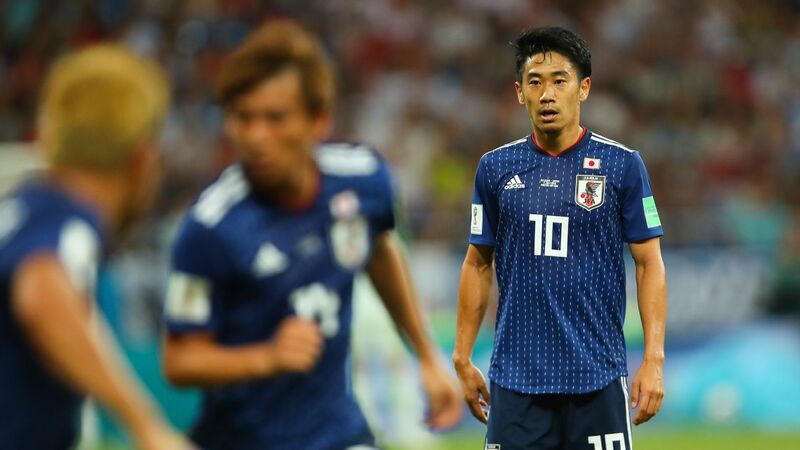 Japan players gave a lesson in manners after Monday's heart-breaking defeat to Belgium in the last 16 of the World Cup by leaving their changing room at the Rostov Arena spotless. The Blue Samurai looked to be heading for a historic win after taking a 2-0 lead early in the second half but Belgium hit back, with Nacer Chadli's goal the last kick of the game to win it 3-2. ROSTOV-ON-DON, Russia -- Monday's game kicked off at 3 a.m. Tokyo time. An unsociable hour, so provisions were made, specifically by Tokoji Temple in Shizuoka, which opened its doors to allow local fans to watch their Japan side play Belgium in an atmosphere of zen Buddhist calm. One hopes a few of them took up the offer, because it might be the only way of reconciling how Japan managed to lose.